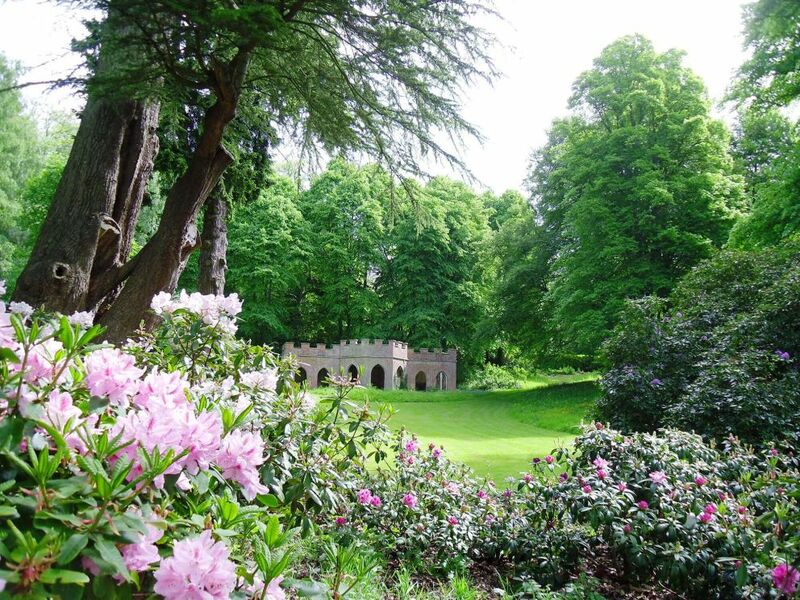 Powderham’s best kept secret is the The American Garden, planted over two hundred years ago, with ornamental plants from the newly discovered Americas, the Garden is a treasure trove of elegant trees, ornamental shrubs and stunning woodland flowers. Amidst all this lies a perfect Gothic pavilion, set in its own natural auditorium bedecked with daffodils in spring and rhododendrons through summer. Weddings here are accompanied by the songs of wildlife. Weddings here are accompanied by the songs of wildlife, with water birds dappling on the Leat and pheasants rustling in the undergrowth. For those with a sense of adventure, the Belvedere tower provides a venue and view that is unrivalled in the South West of England, sweeping views over the Exe Estuary and much of East Devon. This remarkable tower is the most picturesque of ruins, with a commanding position at the pinnacle of the estate.